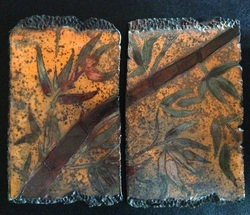 SUNSET BAMBOO 2piece Raku Fired Shard 16" x 17"
Born in Southern California, my interest in sculpture and pottery began at Glendale High School in the sixties. Through the years I have studied ceramics and sculpture at various colleges and studios throughout California and Texas. From the mid 80’s to the mid 90’s I created several hundred original “southwest style” works of sculptures and relief pots for an import company in south Texas. These pieces were reproduced and sold worldwide. 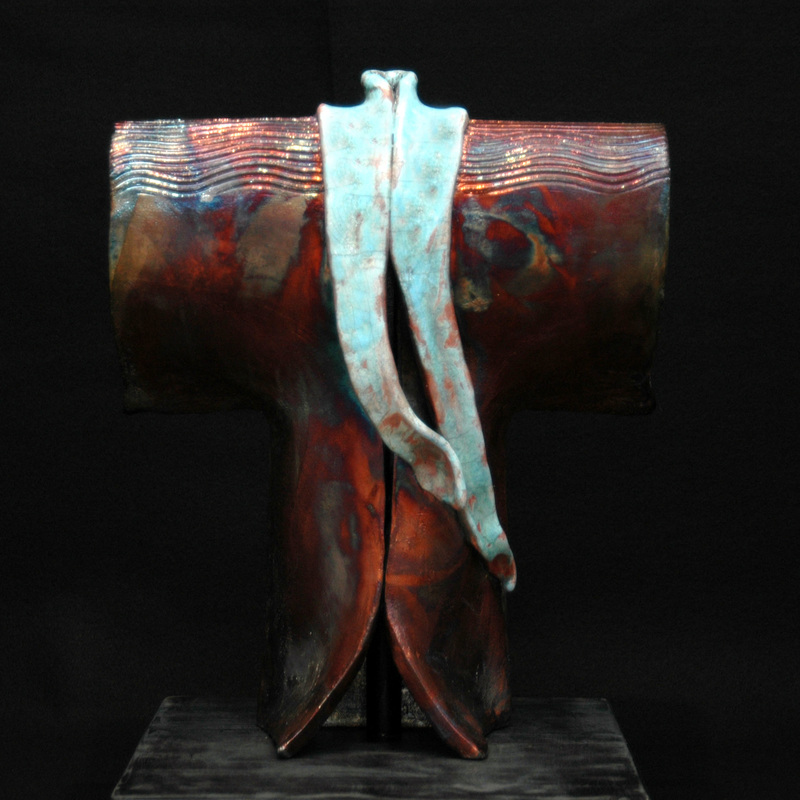 For over fourteen years my work has reflected the love and respect I have for Japanese art. All our pieces are created at our studio, by myself and my very talented daughter Megan McCrea. We use Raku clay and formulate most of our own Raku glazes from raw materials. About 80% of our work is Raku fired, an ancient Japanese method causing the glaze to crackle and the copper in the glaze to change various colors, insuring each piece to be “one of a kind”. Our functional pottery (made of high fire stoneware) also has a Japanese influence. Please go to the menu at top of page and click on Raku Fired Shards & Pottery for more information on the firing process and of course to SHOP!